Reflections- Hironao Okahana: What Does the Muslim Vote Mean? Leading up to Election Day, there was a tangible sense of enthusiasm to make Muslim votes relevant in national and local races from a great number of American Muslim community leaders and activists. Since being a Muslim is not a mere label, but rather a manifestation of traits and actions that resonates from one’s faith. As such, a critical step for Muslim leaders is to take civic participation beyond just getting out the vote. Civic engagement is something that is welcomed by the community, but perhaps not something fully embraced or appreciated as a “core” area of activism. I fear that is because ‘civic engagement’ is not connected to an individual’s faith, but rather seen as an independent action. Until an individual personalizes civic engagement as an integral part of their faith, Muslims will continue to struggle with building a cohesive political strategy. The debate on voting may have been largely settled, but the idea of how voting works in relation to the community’s political power is still vague and often leaves people uncertain how voting alone is relevant to lives of American Muslims. Consider for instance what exactly a Muslim vote means for the community? The challenge for the 2016 Elections (or even the 2014 Mid-term Elections) is for the Muslim community to mature in its political engagement and its participation in public discourse. Leaders and institutions need to help connect the dots between civic participation and being a Muslim. A strategy to pick low hanging fruits might have made sense for the 2012 Elections, but looking toward 2016 (or 2014), we must build community capacity to tackle larger political challenges, beyond just voter guides and courting likely voters. For Muslim votes to be something more than a label and be something rooted to high morals and strong values, the work starts with capacity building. Muslims need to embrace and incorporate civic participation into their American identity and civic participation is not limited to voting. To teach the deeper extent of civic engagement our institution’s and leaders need to risk facing challenges to (show?) the depth of the democratic process. Our community’s votes for much more then just being cast around election time, its time to flex that political. We have to build capacity of our community, so instead of them asking us to tell them how they should vote, they’ll be telling us how we can better represent their values. 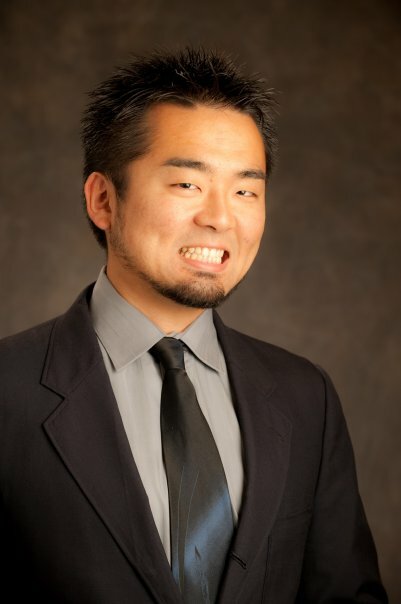 Hironao Okahana is an affiliate of the Orange County Chapter of the New Leaders Council and was a 2011-2012 Fellow of the American Muslim Civic Leadership Institute at the University of Southern California. His work focuses on research in public policy, finance, & governance of postsecondary education, policy analysis, and community organizing.